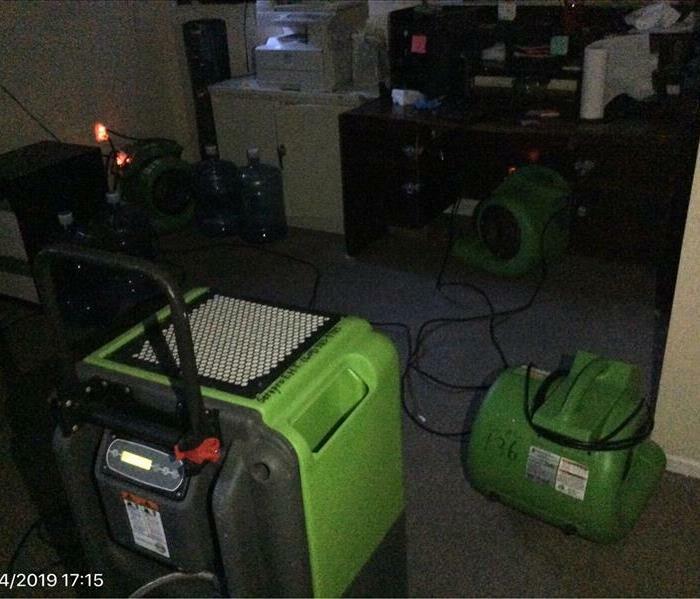 SERVPRO of Egg Harbor/Ventor City ready to take on the day. We all wear uniforms,have our Ipads and cell phones to communicate,and have our daily schedules at our finger tips---all done in a professional manner,every day! Tom is our Production Manager who has a ton of construction background. 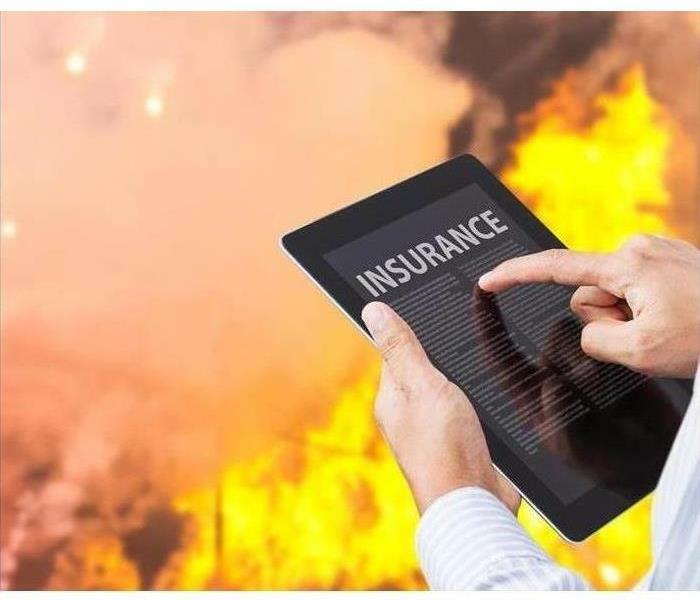 He will roll up his sleeves when necessary to help out,and is an expert troubleshooter. 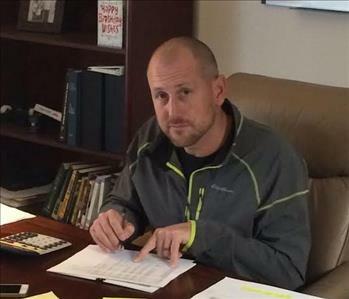 Tom handles our Crew Chiefs and their projects,scheduling,and customer contacts as well. He's truly our Jack of all Trades! 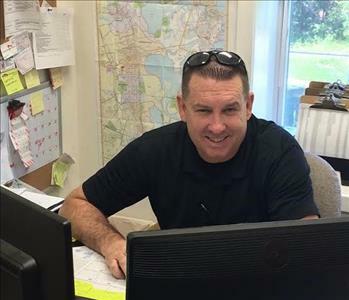 The owner of SERVPRO of Egg Harbor,Jim Gibbs,can be found each and every day working in his office when he's not out in the field visiting customers,checking on jobs,and even rolling up his sleeves to assist a crew when needed. As part of our ongoing Networking efforts,we at SERVPRO of Egg Harbor/Ventnor get involved in as many events as possible.This business expo was held in conjunction with our local Chamber of Commerce and we made many contacts there.You never know when a referral can turn into a new customer! Our Owner,Jim Gibbs,offers training every single morning at 7:30am before our crews head out on a job.This varies from product knowledge,to customer service and serves as a great way to start our day. 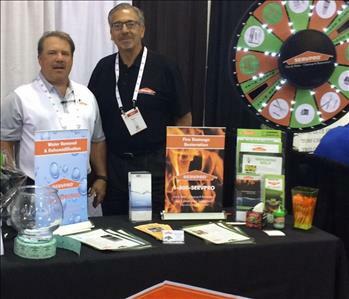 SERVPRO of Egg Harbor recently participated in a Business Expo and Exhibit at The Atlantic City Convention Center. We combined several local SERVPRO Franchises to have one display booth,and took turns walking the showroom floor to meet new contacts.A very worthwhile business venture for sure! 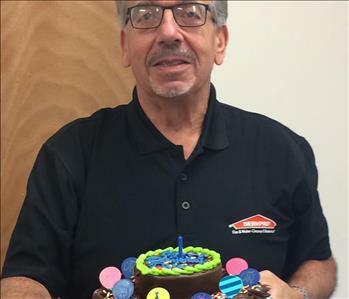 This is Daren Perone,our Sales,Marketing,and Business Development Representative enjoying his Birthday cake from the team at SERVPRO of Egg Harbor/Ventnor City.We do the same for each and every member of our team,and time permitting,we'll enjoy pizza for lunch,too! 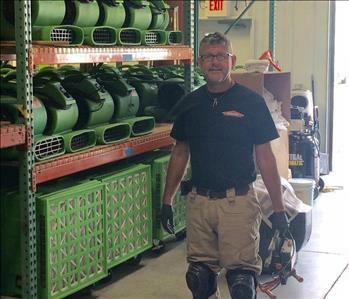 This is John Russell,a retired Atlantic City Police Officer,who handles all of our warehouse maintenance and equipment solutions.Our Workshop has never looked better,and we appreciate everything that John does...and he does it with pride,care,and always with a smile. Shawn Kimmerley is our Newest Technician in the field,managing to handle both technician duties as well as Crew Chief duties,and he's mastering our DryBook and Workcenter documentation notes like he's been doing it for years. Shawn is very responsible,dedicated,and knowledgeable for being on board for just three months at SERVPRO of Egg Harbor/Ventnor City. Meet Dan Lee and our Company Mascot Sparky! Dan joined our Team in 2017 and has been an amazing asset to our business. 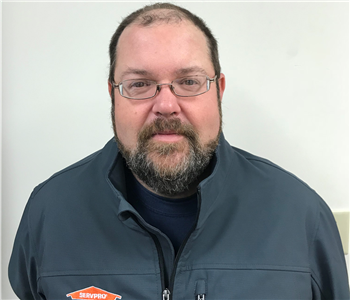 Dan comes with 12 years experience with SERVPRO,and wears many hats with the Team at SERVPRO of EGG HARBOR/VENTNOR CITY. He is an expert Crew Chief,Technician,Estimator,and is a wealth of knowledge in all areas. Dan is a welcome addition to our ever expanding Team.